One of the drawbacks of getting a roof installed is the fact that it’s inconvenient to business owners. All day long they have to live with the constant noise and debris falling from the roof. Business owners who choose Duro-Last don’t have to worry about this at all. Their roof comes prefabricated, meaning their roofing contractor simply has to put it together, like a puzzle of sorts. Another drawback to installing a traditional roofing system is the fact that it can take many days, or even weeks before it’s complete. 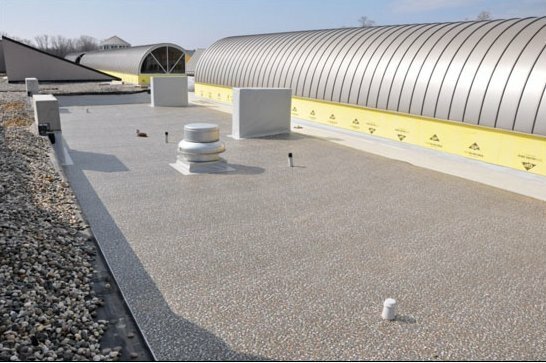 With Duro-Last, the roof is constructed at the factory to streamline the installation process. Duro-Last contractors allow business owners to get back to their normal lives quicker than contractors who install other types of roofs. Duro-Last roofers can offer businesses amazing warranties that have never been offered within the industry. Commercial and industrial buildings can get a 15-year warranty or a 20-year prorated warranty. These warranties provide protections that go beyond what traditional roofers offer, including protection from pooling water and damage from defects. If you need a new roof on your business, you should consider getting a Duro-Last roof. Duro-Last roofers can offer a top-notch product that exceeds customers’ expectations regarding its ability to protect their family or their business. Whether you are looking for an energy-efficient way to replace your existing roof or you need a roof that will not disrupt your business, we have exactly the roof for you need at A Plus Roofing Company.